There were no (successful) tricks up Loki's sleeves at the beginning of Infinity War. Thanos snapped his neck and he is officially dead, according to the Russo Brothers. Several Marvel Cinematic Universe fans believed that he could have faked his death, or that possibly another character was posing as him. To be fair, the God of Mischief has faked his own death before, so it's not a theory that isn't based on anything that Loki hasn't pulled off in the past. However, the Mad Titan was able to successfully kill the character. The Russo Brothers appeared at a special screening of Infinity War in Los Angeles last night and then participated in a Q&A session with fans. Avengers 4 questions were not allowed, so the directors took the previous movie and answered nearly every question about the story and even plot holes. But, when it came to discussing Tom Hiddleston's Loki, the Russos confirmed that he is officially dead, and that Bruce Banner was not posing as the character to try and trick Thanos. Joe Russo simply said, "Loki is dead." With that being said, there is reportedly some time travel involved in Avengers 4, and we have seen pictures of Tom Hiddleston on set. Will the Russo Brothers leave him as we last saw him? Hiddleston has hinted that the character isn't coming back as well, noting that the death at the beginning of Infinity War let everybody know right away that Thanos was a powerful character, setting up the dramatic aspect of the movie. The actor also believes that his death was a good way to end the Loki character, closing his whole journey. Again, it will be interesting to see how the Russo Brothers have pulled off the story for Avengers 4 to see who lives and who dies. The Russo Brothers were also asked why Hulk was beaten so easily by Thanos at the beginning of Infinity War. Many have thought that it had to do with the Power Stone that he had acquired, but the directors have now confirmed that wasn't the case. Instead, they say that Thanos was smarter, which is why he was able to defeat Hulk so easily. Knowing that, Avengers 4 could set us up for a repeat of that battle where Hulk gets the upper hand this time around. That's speculation for now, but it's clear that Hulk and Bruce Banner are going to have some kind of reunion and possible redemption. We're going to have to wait until next year to see what deaths from Infinity War remain permanent in Avengers 4. 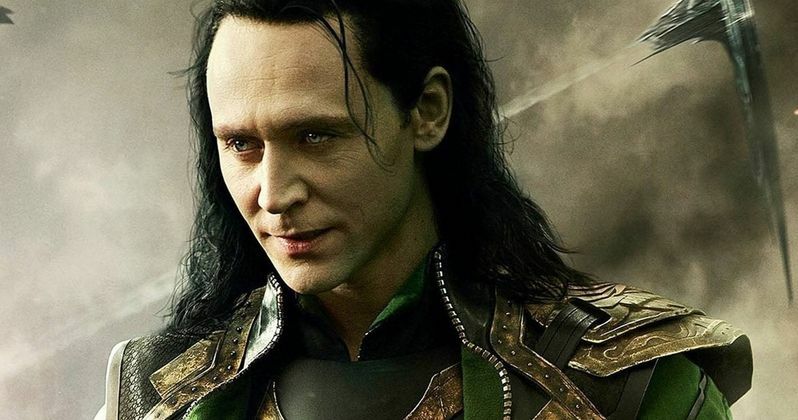 A Loki TV series for the Disney+ streaming platform is currently in development with Tom Hiddleston starring, but it's unclear when the project will take place. Peter Parker will have to come back, and so will T'Challa since they have some sequels to star in, but it's unknown how they will make their returns when the dust settles. The Loki news was first reported by the Slash Film Twitter account.